A simple yet fashionable bar table may seem impossible to find, at least until you see the Bergen Bar Table from Zuo Modern. This exceptional bar table boasts a wood veneer and MDF tabletop that is both functional and elegant, along with a strong, versatile chrome steel base that delivers long-lasting support. 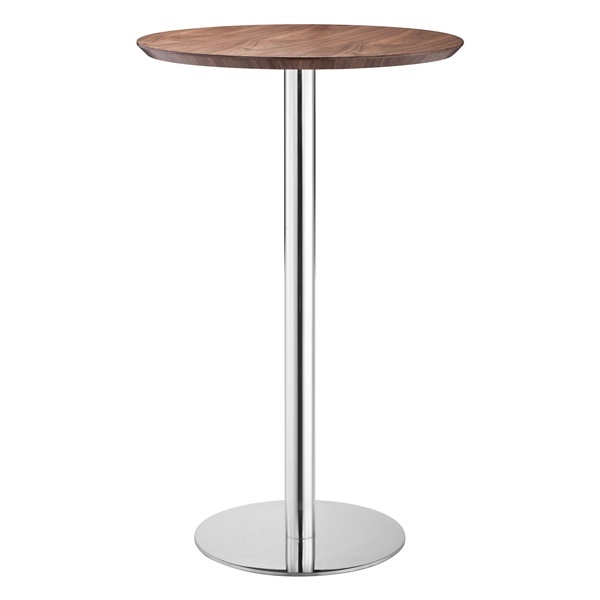 And with its minimalist design and dazzling walnut finish, this bar table is sure to complement the d�cor in any modern or retro setting, too. Select a bar table that will look and perform great every day with the Bergen Bar Table. Simple, elegant design makes the bar table a great choice in any modern or retro dining room or kitchen. Dazzling walnut finish will maintain its appearance for years. Wood veneer and MDF tabletop ensures outstanding quality. Strong, versatile chromed steel base offers amazing support.